Ever since it launched its first device, OnePlus has had the philosophy of offering the most powerful hardware, essential software features with no bloat, all packaged in a very aggressively-priced product. They call their phones "flagship killers" because they are supposed to offer the same performance as the best handsets out there at the fraction of the cost. So, the OnePlus 6 is supposedly going to be released soon. And, no surprise, the leaks have revealed that the phone would rock top-tier hardware — a Qualcomm Snapdragon 845 and a minimum of 6 GB of RAM, with an 8 GB variant highly probable, since the OnePlus 5 already had that tier. Recently, a supposed OnePlus 6 test has been posted on the benchmarking tool Geekbench's website. Listed as NS NS P7819 — OnePlus 6's alleged model number — it shows impressive scores. On the single-core test, Geekbench rated it 2535 and, on multi-core, it got 8632. Now, if one does a quick search for "Samsung" on the same website, they would notice that the Snapdragon 845-equipped variants of the Galaxy S9 and Galaxy S9+ get scores in the same ballpark... but a bit lower. So, yeah, for what it is — this alleged pre-production unit of the OnePlus 6 scored higher than the Galaxy S9 on Geekbench. But that's not everything to be excited about when it comes to the new "flagship killer". The rumor mill insists that the phone would have an under-the-screen fingerprint sensor (and a notch, but let's not talk about that). So, it might be the first internationally-available flagship smartphone to have a fingerprint scanner in the screen, beating out the Samsung Galaxy Note 9 (assuming the rumors about the latter are also correct). Notch? No thanks. Anyhow, its crazy to see that smartphones are now getting closer and closer to desktop computers in terms of processing power. The single-core score is slightly better than Intel Core i3 2100 (2nd Gen) while the multi-core score is significantly better!https://browser.geekbench.com/geekbench3/search?page=2&q=i3-2100&utf8=%E2%9C%93 Fascinating because The i3 2100, though no powerhouse, can handle Windows 10 surprisingly well with an SSD. Oh well, G'Day! Obviously it will get higher scores. Oneplus has a script inside their phones which run the processors full tilt as soon as they detect Geekbench or Antutu. Samsung is much better, in my opinion. People still drink Starbuck coffee although they are expensive, why? Because of quality and trust. The same goes for Samsung Galaxy line products. Smart consumers prefer what suit them the best. You're wrong here. People drink Starbucks because that's Starbucks. What I don't get is why the Exynos multiscore isn't higher, the small cores are probably comparable to those on the S845 and the big cores are faster, maybe they've stopped all 8 cores work together? Nobody buys Exynos version in USA, nobody even knows much about Exynos version around the world frankly. read https://www.anandtech.com/show/12520/the-galaxy-s9-review the exynos 9810 is just a half baked product, 845 is the way to go. apparently samsung tweak its processor to get very high single core score in "specific benchmark " by doing so it sacrifice real world performance and battery life. in fact, its no better than exynos 8810 in most benchmark and realworld usage. Why do Chinese OEM need to copy every iPhone design out there? Xiaomi, one plus, oppo, vivo, Asus. I'm...Amazed. Because they're desperate that they don't sell and go bankrupt. People across the world have realised the real innovative and original tech producers are Samsung and LG, no doubt. Pls everyone stand up for the hard working party, and stop buying those copycat counterfeit products! 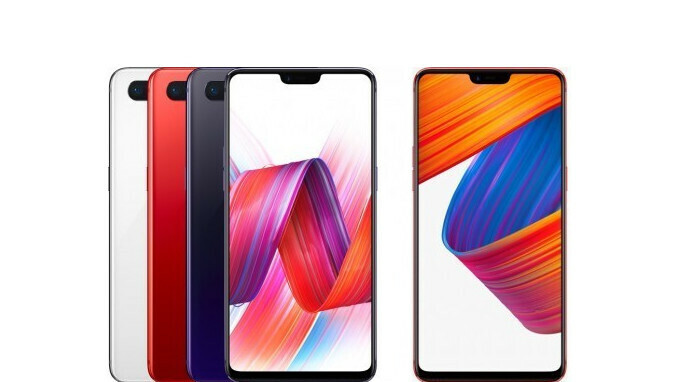 It's not so much the benchmarks for me, but the flattering business move of OnePlus to add a notch without 3D Facial scanning. This is supposed to trick people into thinking its an iPhone. LOL! People still care about this? I like OP but I don't want to see another geekbench until they can really start improving their cameras. I know that haves nothing to do with the geekbench if you want to be a great phone, you need to have a great camera also. And create your own style enough is enough. omai so nice. i wants. i have note 8 but i want oneplus 6. much good. Way better than Samsung's crap.